Barrie Evans created a unique record when, having won the Conference League Riders' Championship and CL Four-Team Championship in 2003, he also scooped the CL Pairs Championship alongside Mark Burrows on 2 June 2004, thus becoming the only rider to simultaneously hold all three titles. In July 2008, Evans asked to be left out of the Stoke line-up, in order to take a break from racing, having struggled for form. He was subsequently deemed to be withholding his services and was handed a 28-day ban, before he resumed riding with Mildenhall. 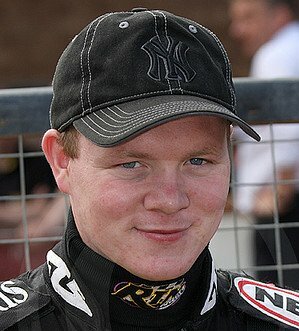 The move completed a full circle for Evans, as he had been the Fen Tigers' mascot prior to making his official racing debut with the club in 1999. He remained with the Suffolk outfit in 2009 and enjoyed a good season that saw him rewarded with the Rider of the Year award. Unsurprisingly, at the end of November, Mildenhall revealed that Evans would remain on board for the 2010 season. And he was maintaining an average in excess of 8 points per match when the Fen Tigers ran into off-track difficulties, which culminated in their early closure. Evans wasn't idle for long, though, as he was drafted into the Dudley line-up early in August as cover for the injured Jon Armstrong. 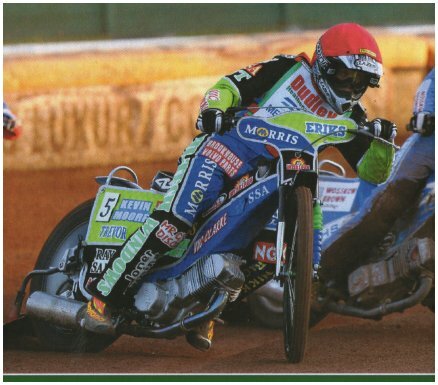 Barrie rode his first match for Dudley at Bournmouth in August 2010, although a bit inconsistent he got some great scores with his best at Buxton on the 10th October with a magnificent 17 from 6 rides in the KO Cup semi-final which included a 6 point double tactical ride. He also had two 10 point scores one at Monmore Green against Rye House and one at Perry Barr against Weymouth. He rode for the Heathens at Monmore twice in 2011 as a guest for the injured Jon Armstrong and scored 9 points on both occasions one at Mildenhall and the other at Monmore Green. The 2003 Conference League Riders’ Champion had posted a paid 15-point tally during Hackney’s league victory over Buxton, only to suffer the injury at the end of the victory parade that saw the team circle the tarmac stock car circuit, which surrounds the speedway track. Evans’ right foot caught and became lodged in a small pothole in the circuit and was then hit by his footrest as the bike continued forward. He was treated at the time by the track paramedic, but subsequent hospital X-rays on the way home were inconclusive due to the swelling that had already developed in his foot. The rider revisited his local hospital four days later, when further examination thankfully revealed no broken bones, but unfortunately also confirmed extensive tissue damage and the possibility of ligament and tendon damage. Web site created and maintained by Phil & Steve Johnson. E-mail me your comments and suggestions. Copyright: Phil & Steve Johnson & Cradley Heath Speedway Ltd, 2013.